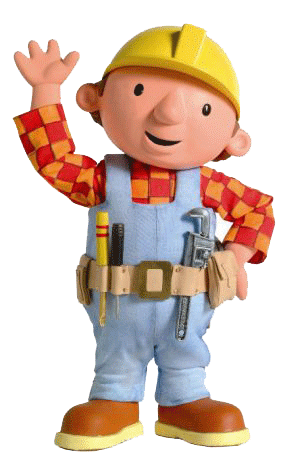 Bob The Builder, Pingu & Angelina Ballerina come to Hopster! To celebrate, we're giving all of our users another bumper pack of episodes to get stuck into this coming weekend. Hello there! It’s been too long. This week was a big one for us at Hopster, and between you and I, we think it’s pretty exciting for you, too. As of last Friday, we have three brilliant new shows on Hopster: Bob the Builder, Angelina Ballerina, and Pingu. To celebrate, we’re giving all of our users another bumper pack of episodes to get stuck into this coming weekend. In between these episodes, why not give our new game Find a go? It’s all about finding things that are a certain colour, made of a certain material, or start with a certain letter. Alongside Letters, it’s part of our ever-expanding range of learning games that make screen time better for your tot. Download Hopster for free to watch, play and grow with Bob The builder, Ben & Holly, SuperWHY! and many more. We know Bob, Angelina, and Pingu are massive family favourites and we’re so excited to bring the gang to all the small screens in your life. What about you, are you excited? And more importantly, is your little one excited? Let us know what their favourite show is, and how they’re enjoying Hopster so far. PS – Did you know you can download videos to watch on the go? Annoying car journeys will be a thing of the past!